Oh man, so I’ve been hoping I wouldn’t need to write this post, but Charlie and I are at our wits’ end and we don’t know what to do. Stella will be 4 in two months, and she has been daytime toilet trained for nearly 2 1/2 years. She’s been nighttime trained for 6 months. However, ever since she started school, she’s been having accidents almost EVERY.SINGLE.DAY. Not at school, mind you (as far as I know? I guess I don’t see her until a couple hours later), but after school – at home, in the car, playing with friends, in bed… it’s driving us absolutely bonkers. She won’t even TELL us about it – she just keeps on playing or eating or whatever until one of us smells the ammonia emanating off of her. UGH! We’ve tried talking to her, gently correcting her, bribing her, getting frustrated with her… I read this article and I know that pre-k has been a big transition for her, but that doesn’t make it any less frustrating for us or any easier to stay calm & supportive with her about the whole ordeal. Has anyone else gone through this? Any tips or ideas or thoughts about how long this will last? I can only say I wish I was in your shoes…we haven’t even gotten to the regression yet….R is still in diapers at home, pull-ups at school. Sending calming thoughts your way because I know I’m done with diapers and there doesn’t seem to be an end of them for me in sight. Good Luck! I feel your pain. We have tried to schedule lots of bathroom breaks after school and before bedtime and every half hour sometimes. We emphasize that hiding accidents is bad, not having them, that everyone has accidents and it isn’t a big deal. It sounds like it’s just pee? Lyla POOPED her pants several months ago a few days in a row, and we just happened to have a doctor’s appt for her during that time; so, I asked. She said there’s a huge difference between pee accidents and poop ones. She said it takes a lot of relaxation and concentration to poop, but that pee really is just an accident most of the time. She didn’t give any tips or advice other than just wait it out and let her know if it continues. It happened those two or three times and hasn’t again. Maybe ask her doctor? Grace went through a brief spell of this when she start pre-k in August. She was easily potty trained like Stella and literally never looked back. I was shocked when she started having accidents. I really didn’t make a big deal about it and just changed her and moved on. Just a little “Oops. Grace, we need to remember to take time to potty. Let me know if you need help.” It lasted for maybe two weeks and then she was back to herself. Hopefully this will be a brief stage for Stella, too! You poor thing!! Good luck to you! One of our twins (Alex) recently went through a sort of regression at day care: he was having daily “accidents” during naptime, despite the teachers’ limiting his fluids in the hour before he went to sleep, taking him to the bathroom right before nap, and even (eventually) waking him early to use the potty. We solved the problem by letting him pick out a toy he wanted from Target and telling him he could “earn” the toy by staying dry for five days in a row at day care. Surprise, surprise: he was immediately able to stay dry the next five days, and he hasn’t had an “accident” since. Not sure if that would work for you, but may be worth a shot. One other thing to consider: I have read and heard that chronic constipation can cause kids to have problems with bladder control. Not sure what your daughter’s bowel habits are like, but if it doesn’t seem to be behavioral, that angle might be one to explore with her pediatrician. I haven’t went through this with my older 3, but I do always make sure they go to the bathroom before they leave for school and as soon as they get home, as well as within a hour or less before we leave to go somewhere. That has saved us I swear tons of times! My almost 5 year old has been fully trained for close to 2 years now and for the past month she has peed the bed at least every other night. I am also so sick of all the laundry and I feel like we have tried all the normal tactics. I may have to explain to her that she is going to have to start wearing pull ups to bed if this continues. I don’t know what else to do! Simon was fully potty trained at school the week he turned 3. He wore pull ups at home for another 9 months because of the constant accidents and not always telling. Then another month of underwear and accidents at home… When he turned 4 he started having poop accidents at school. We had a meeting with the pre-K teacher around then and found out that he couldn’t go on field trips if he was consistently having accidents because they couldn’t take extra clothes for all the kids. Within 2 weeks no accidents day or night. He’s had a couple here and there when he fell asleep earlier than normal. I don’t know that that helps at all, but he needed a reason. With regression, I’d maybe wait it out another few weeks. Maybe ask her if she’d like to wear a pull-up at home? I saw the title of this post and got tense for you just reading it. I’m so sorry. I don’t have advice. Matthew is GREAT during the day, and STILL wears a nighttime diaper at night, and he’s 4. 🙂 We tried switching to a pull-up, and that could not hold it all. The kid can pee. We took away nighttime water, and still wet sheets. He’s back in size 6 night diapers and honestly, I don’t care for how long. I’m tired of washing sheets (and mattress covers). I know you don’t want to switch her to just half a day at school for lots of good reasons. Do you think this may be because of the (less) sleep at school? My gut thinks that may be it. She’s probably not getting as good (or long) of sleep at school as she did napping at home, and her tiredness could be causing her to just not think about going to the bathroom. I know that the couple of accidents Matthew had (2-3 in one week and I was freaking out in my head, and then it just stopped) were when he was relaxed in our bed, nodding off during quiet time (right after dropping naps) or after waking up *too* early that day, and he just didn’t think about it. He was too tired to even realize it was happening. I feel bad for you. This is no fun, and yes…. 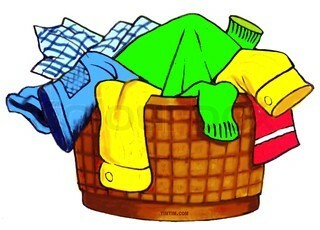 the LAUNDRY! I HATE washing pee clothes and sheets. I had to wash the car seat cover a couple of months ago (he fell asleep in the car on a road trip and when we got home, he thought he’d sweated too much… nope… just pee goddammit) and that put me in the worst mood, and it was totally understandable how it happened. It’s just SO FRUSTRATING. Big mom fist pump to you – this will pass. Maybe set a timer and have her try every 30 minutes after school? It would hopefully cut it out altogether or maybe just make it clearer what’s going on when it happens. But also wanted to say that it funny you mention this because a friend talked to me just yesterday, freaking out that she is having this exact problem with toilet training regression and her daughter has had daily (or more) accidents for about a week now out of nowhere after being toilet trained for a while with almost zero accidents. She is 9 months pregnant (due next week) so I think that is probably related. They are having a home birth so the changes are happening all around the little girl in a way she has probably notices. So the pattern does seem like big changes have a big effect on toilet training! I told her the same thing, but I suspect it will only last a couple of weeks and then Stella will be back to her old self with no toilet issues. Obviously you can’t just ignore it but let her know how important it is if she wants to keep attending school and being such a big kid. Good luck and sorry you are dealing with this. Not fun, I know!! No advice, but you definitely get my sympathy. Charlotte absolutely refuses to have anything to do with the potty, and yet she throws massive fits every time I have to change her diaper. Ugh, it’s so frustrating. I hope for your sake Stella is just reacting to the transition of school and she will be back to staying dry soon! I don’t have any experience with this but I can imagine how frustrating it is! I would say have her go to the bathroom right when she gets home from school and then ask her every hour if she needs to go? And maybe remind her that accidents happen but she needs to stop what she’s doing and tell someone when she has to go potty? I hope this phase passes soon! Don’t give it much attention. If there’s no medical concern, have her change her own clothes and strip her bed (help her a bit) and remind her calmly that pee pee goes in the toilet. This happened in some form with my now 4 year old when he was around 3.5. he’s now 100% toilet and dry all day and night. We had a period of about 2 weeks where Taylor had a handful of pee accidents and we noticed it was when we didn’t make her go first thing in the morning. Taylor has been fully potty trained (day and night) since 2.25 and never gets up to pee in the night. I don’t know how she does it…anyway, when she wakes up, unless we tell her to go to the bathroom, she will hold it until she can’t… which has led to these accidents. She now has the 30 minute rule upon waking where she has to go to the bathroom and we haven’t had an accident in months. I think what I’m getting at, is even though she’s been great for potty training, she still needs to be reminded to go (we make her go before bed, before leaving the house)… maybe just those reminders for Stella will help? Ugh, I guess I’ll talk to the Nanny about after school, because Stella literally walks out of her room & straight to the bathroom every morning all by herself (and sometimes in the middle of the night), and we always remind her to go before naps & bedtime. It’s the 4-8pm time frame that has been the issue. Good reminder that we need to remember how young they are really! Oh man. I can’t help you because we are all over the place. I actually think we are getting better but every time we have a day at home.. he just pees in his pants again. At least now he is pooping in the potty. Personally I think it’s because of the school transition. She feels comfortable at home to relax. I’m hoping once Nicky starts school the peeing in the pants will stop completely but now I read your post I’m not so sure! Dress her in an outfit that she REALLY likes in the morning. Also pick out something really old and bland that she doesn’t like and tell her that’s what she’s wearing if she wets the first outfit. For us it was some grey sweatpants. If she has an accident, insist that she wears the yucky outfit, tell her nothing else is clean. Do whatever you’d normally be doing, even if it means taking her out in the yucky outfit. Oh man, I’m sorry about this setback. I don’t have much to offer in the way of advice other than talking to the teachers to find out if she’s going potty when she’s there or if she’s holding it the whole time? oh man that really stinks. I’d think she’s just really tired, getting used to a new schedule, so much new stuff with school. hopefully it is a phase that passes soon.